Is your pharmacy in pole position for primary care? 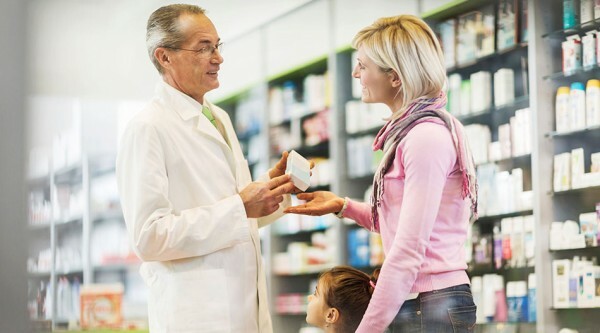 The pharmacy business model is in for serious disruption in coming years, with the Government’s plans to allow pharmacies to deliver primary care. Smart pharmacies will start getting ready now, so they’re positioned to claim first mover advantage: doing primary care better, faster than the competition.Right now, we don’t know exactly what primary care services the Government has in mind. It’ll be some combination of health promotion, preventative medicine and rehabilitation. Here’s what we can be sure of: having the right people and systems in place from the start makes sound business sense for your pharmacy. When your business model changes, you need experienced, trusted staff on board. People who know your culture, know your systems – and know how to look after your loyal customers. The last thing you want is to lose good people, and have to roll out new primary care services with untrained staff. The fundamentals of how you hold on to good staff haven’t changed: rewards, recognition, flexibility. One thing to consider is how you talk to staff about what these changes mean for their role. Let them know what opportunities the expanded services could mean for their career. Rostering in a pharmacy can be hard enough as it is. Pharmacists. Assistants. Naturopaths. With an even broader range of skill sets under the one roof, it’s vital to make sure you’ve always got people rostered on who are trained and qualified to do the work. Without that, your business is left exposed. Imagine this scenario. Mrs Jones comes into your pharmacy to have her dressings checked. It’s Monday afternoon, and you don’t have anyone rostered on who’s qualified. Jason, a pharmacy assistant, offers to do this, just to be helpful. Unfortunately, Mrs Jones develops a life-threatening infection, and decides to sue. If you’d had a qualified person rostered on that afternoon, you could’ve shown that you’d done everything possible to give responsible care. Automated rostering support is a smart choice to keep your pharmacy covered. The application automatically creates a draft roster, based on your business requirements and the needs of your staff. So you can instantly pull up a shift and check that you’ve got the right number and skill level of staff rostered on throughout the week. As you test out new services, you’ll come back to the basic question: are we making money? If you brought on extra staff to deliver primary care services, what’s the return? This information is vital in the early stages as you decide whether to hold your course, or try a different tack. That’s where automated, real-time staffing cost tracking comes into play. Get a break-down of costs per staff member, per day – as well as total cost per week. Match this data with foot traffic to make strategic, intelligent decisions about what’s working – and project what staffing levels you’ll need going forward. No more ‘guestimating’ rosters. And no more worrying about going over your staffing budget. Other pharmacies are likely to wait till all the details of the primary care services are announced, then scramble to catch-up. By strengthening your HR systems now, you reap immediate business benefits – and know you’ll be competitive when the race begins. « MYOB integration made easy.